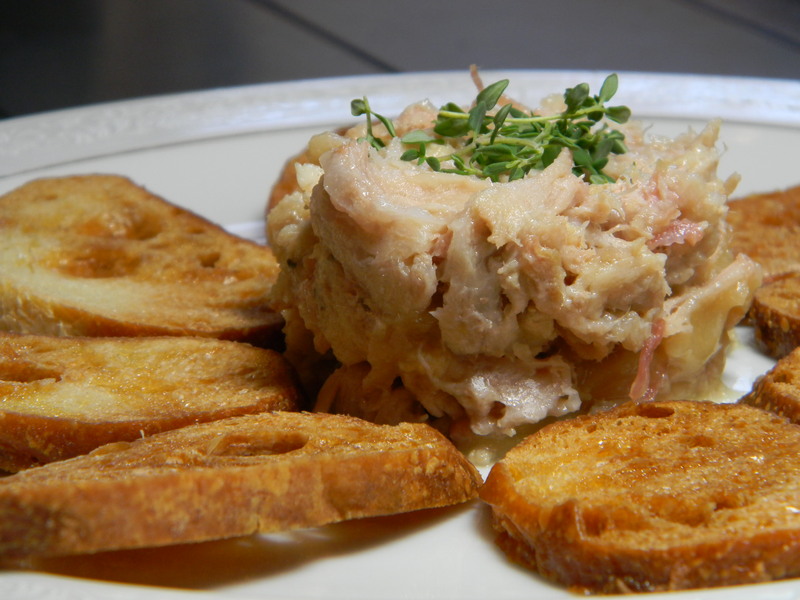 In the meantime, with no studying to do, why not celebrate the holidays, snow, friends, family, and all the good things with a decadent plate of rillettes. 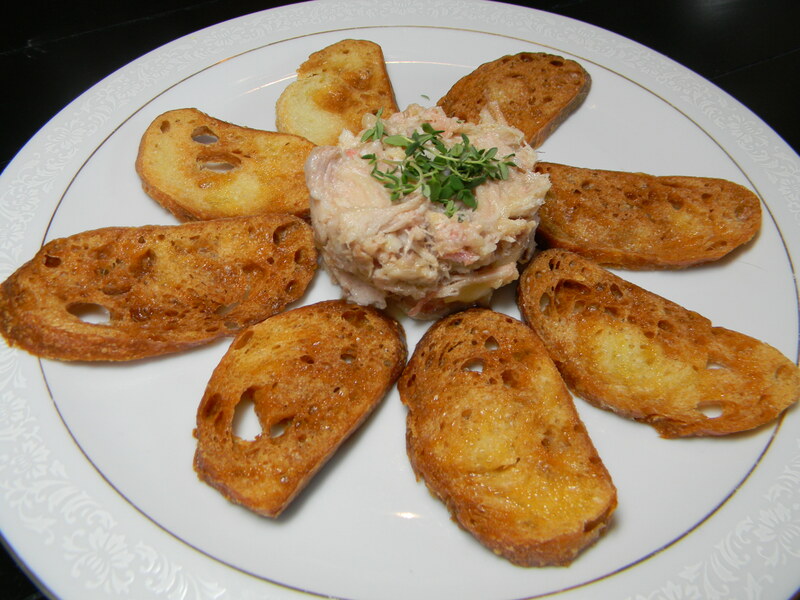 We’ve talked about rillettes before, but this is the first time that we’re posting a recipe so that you can make them too. Rillettes is one of Anthony Bourdain’s favorite dishes- when he first saw it on the menu at Les Halles, when he was thinking about working there, he said it was “like finding an old friend.” (By the way, yes, we did order it when we were there and it was fantastic.) Not only would we recommend ordering it at a restaurant or buying it a butchery, but we also recommend making it!! And here is the million dollar question. What are rillettes? Part of me thinks it looks like a tuna dip or something, but then there is a sneaking part of me that thinks it may be a weird animal body part.